Lake Buyan offers tranquility of lake which glass-like and the cool atmosphere of the mountains. Lake Tamblingan has natural charm and outstanding beauty. 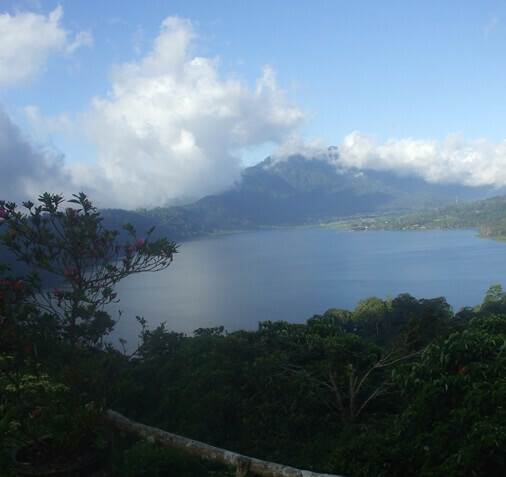 This twin lake including lake Bratan are surrounded by Bedugul Caldera, vast rain forests and agricultural crops. All of them (including lake Batur) are the natural water resource and the ultimate origin to every springs and rivers in Bali. This twin lake is situated next to Lake Bratan, about 7 Kilometers (15 minutes) to the north. Visitor can access this place directly from Ngurah Rai International Airport, about 70 Kilometers (less than 3 hours). Let's take a closer look to the amazing of twin lake in Bali! 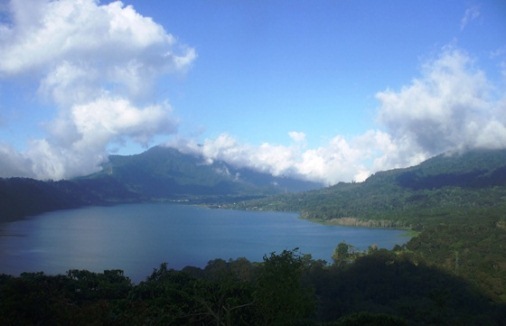 Lake Buyan is located in Pancasari Village, in the District of Sukasada, Buleleng Regency, Bali. 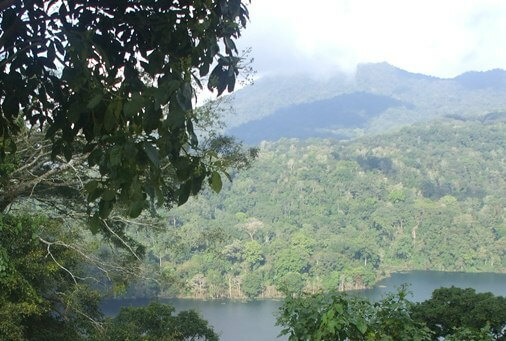 There is a location for camping that located at the southern edge of Lake Buyan. A broad enough flat ground which is suitable for camping or picnic while enjoying the exotic panorama of this beautiful lake. Lake Tamblingan is situated in the northern slope of Mount Lesung, Munduk Village area, in the District of Banjar. Tamblingan has natural charm and outstanding beauty. The lake is also home to holy temples and other relics that store the history of the development of civilization and culture of Bali in the century of 10AD to 14 AD. Located in Pancasari Village on the rim of Bedugul Caldera, the Twin Lake Buyan And Tamblingan is influenced by Very Wet Region Climate (A type climate based on Schmidt-Ferguson climate classification maps) and the cool climate due to its location at an altitude of nearly 1.220 meters (4.000 ft) above sea level. Very Wet Region climate in this area has humid season start from October continues until June (9 months). Even though there's no rain, fog always blanketed this beautiful lake. Due to this climate type has long rainy season there is always water source throughout the year. The soil in this area is very fertile because of the volcanic soils which derived from Volcanic of Lesong - Pohen - Sengayang Group. The combination of water, cool climate, and fertile volcanic soil make this area most suitable for agriculture, vegetables and fruits plantation. Visitors can enjoy the beauty of the twin lake Buyan And Tamblingan from Asah Gobleg which located in western side of Bedugul Caldera. This place is located a bit high on the northern rim of Bedugul Caldera. Otherwise shrouded by fog, visitors can enjoy the beauty of Lake Buyan surrounded by mountains, rain forest, cloves trees and vegetable agriculture land. There is another unique location named Telaga Aya. This spot is situated between Lake Tamblingan and Lake Buyan. A large-enough pond which its water connected directly to the Buyan Lake. It's resembles a small cove of Buyan Lake. There is also a flat ground and shielded by trees, very suitable for camping. 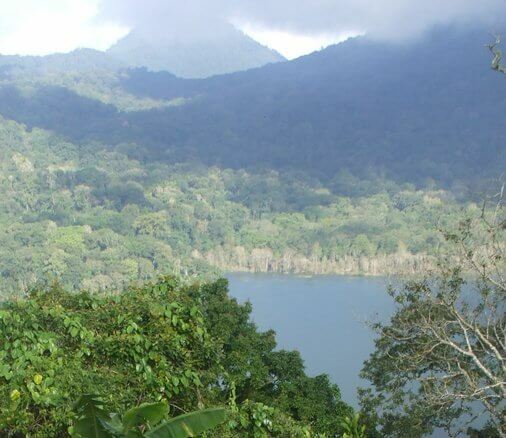 The Twin Lake Buyan And Tamblingan is included into The Nature Park (Taman Wisata Alam) Lake Buyan-Tamblingan and bordering with The Nature Reserve (Cagar Alam) of Batukaru. This area encompasses several villages namely Candikuning Village and Batunya Village (part of Tabanan Regency), Pancasari Village and Asah Munduk Village (part of Buleleng Regency). In April 1996, The Nature Park of Buyan - Tamblingan is determined an area of 1.336,50 hectares (based on the decision of The Minister of Forestry). Then in January 1997 the area of this place is revised into 1.703 hectares, including forest area and water area (the lake), based on the decision of Bali Regional Department of Forestry. Lake Buyan Festival featuring various advantages of Buleleng Regency. The festival featured various cultural attractions and traditional sports, exhibits the potential of agriculture and fisheries, and environmental activities. Tamblingan and Buyan Lake are the location of these activities. The festival aims to introduce the twin lake Buyan and Tamblingan as a vital water resource for the surrounding area. Both lakes are part of the water catchment area. Tourism development here is done with environmentally friendly concepts for the sake of preserving nature and the environment. The four lake in Bali include lake Batur, lake Bratan and the twin lake Buyan and Tamblingan are the natural water resource and the ultimate origin to every springs and rivers in Bali. Water as a natural resource is a vital resource for human, animal and plant health. About 97% water on the Earth is salt water and only 3% is fresh water. Over two thirds of fresh water is frozen in glaciers, permanent snow, and polar ice caps. Water also exists in lakes and rivers, in the air (water vapor), in the grounds (oil moisture) and in the aquifers. We may only notice water on the Earth's surface, but there is much more freshwater stored in the ground (than in liquid form on the surface). Water in the ground continually recharges rivers through seepage and water from precipitation continually seeps into the ground to recharge aquifers. Surface water is water in a lake, river, or fresh water wetland. Lake is the biggest water resource of surface water (about 87%). These surface water is naturally replenished by precipitation and naturally lost through discharge to the oceans, evaporation, transpiration and groundwater recharge. Although the only natural input to any surface water system is precipitation within its watershed, the total quantity of water in that system at any given time is also dependent on many other factors. The factors include storage capacity in lakes, the permeability of the soil beneath these storage bodies, the runoff characteristics of the land in the watershed, timing of the precipitation and local evaporation rates, wetlands and artificial reservoirs. This water resource, such as water falling from the skies and moving into streams, rivers, lakes, and groundwater, provide people with the water they need every day to live. Water Stress or Water Crisis. Water are used in various ways including direct consumption, agricultural irrigation, fisheries, hydropower, industrial production, recreation, navigation, environmental protection, the disposal and treatment of sewage, and industrial effluents. The concept of water stress is relatively simple. It applies to situations where there is not enough water for all user. This situation is related on several conditions such as population growth, expansion of business activity, rapid urbanization, climate change, depletion of aquifers, water pollution, and water conflict. Water as a natural resource provide habitats for aquatic life and riparian systems provide moisture for vegetation and terrestrial biota, transporting nutrients between one ecosystem and another. As well, large water systems provide regional and climatic weather services. We cannot control our fresh water supply but we can control the quantity of water we use on a daily basis. Taking simple steps to restrict unnecessary water use and improve efficiency. Water conservation is cost-effective, the best ways to saving and benefit our environment. Clean water reduces the prevalence of water-related diseases. Less water going down the drain means more water available in the lakes, rivers and streams that wildlife uses to survive and we use for recreation. Using water more efficiently helps maintain supplies at safe levels, protecting human health and the environment. Feel the coolness atmosphere and exotic view of the twin lake, surrounded by rain forest, mountain and the rim of Bedugul Caldera. Get your backpack, passport, flight ticket and other necessary, then take your time to dicover the twin lake Buyan and Tamblingan, Bali. Hopefully helpful and thank you! 3. Ulun Danu Bratan Temple.